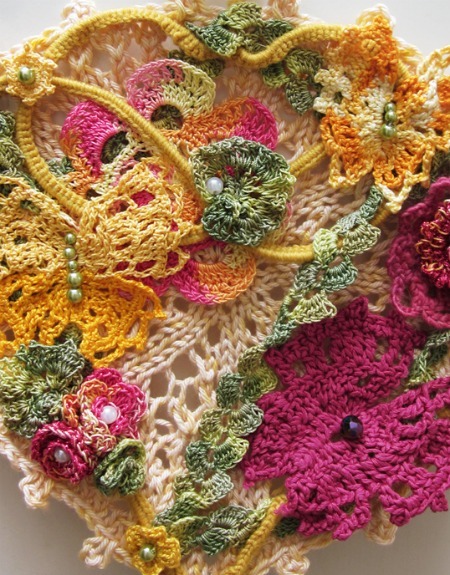 Freeform crochet is without a pattern, without rules, and often without a care. You make what you like, however you like, with any yarn you have on hand. Best of all, you never know what you are going to end up with. At least I don’t. I love freeform crochet. For me its the best kind of stitch therapy. When I’m blocked or angry/sad/frustrated, I’ll start freeforming. When I started this mostly-blue freeform (that’s what I call it) I was pretty angry. At what? Well, I forget. Lol. But at the time I was envisioning a calm, flat lake that I would throw my troubles into and watch them ripple out and away from me. That’s why its mostly blue. It got pretty big and now I wear it as a wrap. 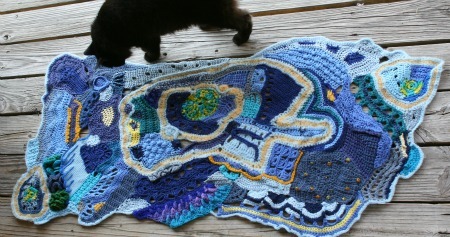 There are some real artists in the field of freeform crochet. There is the late Syliva Cosh, who is lovingly remembered on crochet.nu. She taught freeform crochet in workshops for years and you can find all her old worksheets right here. (FYI, her technique of “intermeshing”… I’ve seen that get re-discovered by many a crochet designer, lol). Then there is Myra Woods. She is one of the few artists who makes wearable freeform pieces. Inspired yet? Want to see more? Well, there is lots more to see. I admit to cruising freeform crochet galleries as a way to get inspired and freeformcrochet.com maintains online artist galleries. 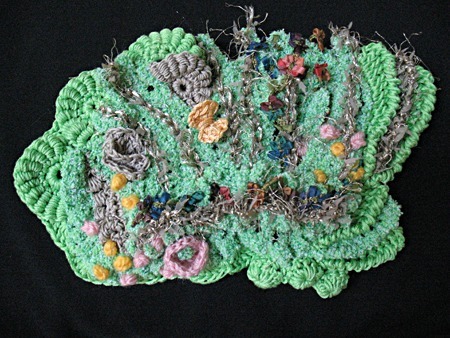 Not all freeform crochet is abstract pieces of art. Some of it is useful! 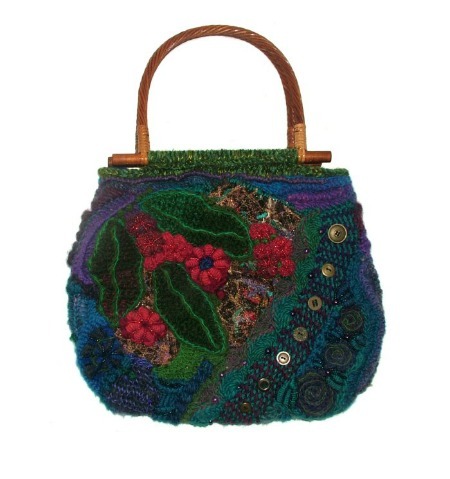 Red Gum Bag by Renate Kirkpatrick. The hat in the collage is hers too. If you do some freeform, even just a little bit, I think you’ll be surprised at what you make. Its freeing. If you are thinking “but I don’t do well without rules and patterns and at least some freaking idea of what I’m making in the first place” then I say AH HA! That’s what freeform is for! It will free you and you’ll be a better stitcher for it. Your first try may not be what you are hoping for but that is only because letting go of the rules takes practice, just like anything else. Grab some yarn and a hook and give it a try. Also, keep an eye out here for a freeform tutorial because now that I’ve written this post, I’m all jazzed up about freeform and need to get a piece started. I see some cream and lavender yarn in that work basket over there that would be perfect…. 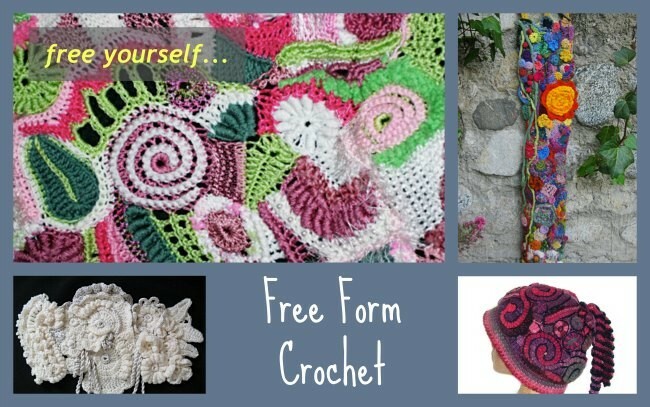 8 Comments on "Free Yourself with Freeform Crochet"
Beautiful inspirational post! I bought a book on free-form crochet and knitting and went on to something else after trying a little of it and forgot about it. Now you’ve done it–I’ll have to start something new with my growing yarn stash. Thanks for the reminder and the links. I’m happy to inspire more WIPs! That was my master/evil pan when I started this blog after all… get everyone to make everything. I’ve always wanted to know more about this! I’ve always liked this kind of crochet. Never did any though. it seems intimidating. Its only intimidating at first. Once you get your feet wet, so to speak, it gets easier and the stitches just start to flow. This looks fascinating. I’m going to have to read up on this and give it a try. One would most definitely have to put aside any tendency toward perfection! Your blue piece is really stunning. Thanks for dangling another potential WIP in my face. But do give freeform a try. I learn something new every time I make one. 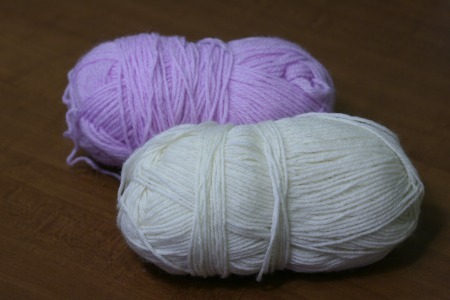 I learn how stitches look together or how different yarns play against one another. Its endlessly fascinating.